When you hear the name Mercedes Benz what do you think? High end luxury not to be confused with Kia. Mercedes’ brand statement is “The best or nothing.” What do you want your position to be? Positioning and pricing are the two most important marketing decision you will make in developing your brand. What are you selling and to whom? Remember what economist Theodore Levitt said, “People don’t want to buy a quarter-inch drill, they want a quarter-inch hole. What is your customer buying? Who wants what you are selling? What is their persona? Where are they located? Or how far do you want to go to reach them? What is going to make you successful? What is distinctive about your offer that will be hard for your competitors to reproduce? What is your differentiation? You are looking for insight. All products and services have a difference that sets them apart from competition. Or can be made to have differences. Some are more meaningful than others but even so not all businesses truly understand what that difference is and who it appeals to. Most owners will say it’s their quality or taste or selection but that is not usually the case. A good brand developer can help you with customer insights and find the differentiation or can accentuate a difference into a meaningful experience for the consumer. But what if your product has no meaningful difference and you are in a highly competitive market and you have no brand awareness and you want to charge a premium price and there is no history or tradition for your product? Most people would feel it can’t be done! This was the situation facing Absolut Vodka. when it was introduced into the United States. Famous architect and designer, Lloyd Wright said, “Man built most nobly when limitations were at their greatest.” Maybe the same can be said for the brand development process. Who would buy a vodka from Sweden? What did Absolut Vodka have going for it? The marketers had a lot of research and insight into the target audience. They understood that the target market appreciated design, simplicity and sophistication. Prospects were captivated by the Absolut packaging—an antique medicine bottle—and the advertising campaign. The ads featured the bottle and a short headline. The campaign was clean, clever and simple. https://bit.ly/2A1n4Y8 The campaign won hundreds of awards and ran continuously for 25 years. 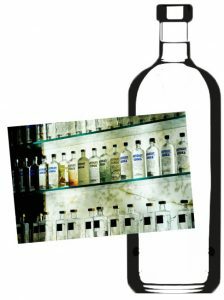 The results: Absolut Vodka went from 90,000 liters in 1979 to 96 million liters in 2008, and the leading vodka in the US. Yes, you can. All you need is good insight into your product and prospect and a differentiation meaningful to your prospect. Positioning is about where you want to place your product against your competition in your consumer’s mind. If your product can’t be differentiated then the differentiation can be your advertising, your label, your packaging, your design, or your story. You can create the experience you want your customer to have—and that is branding. It’s your brand. Make it what you want it to be or let the market decide.